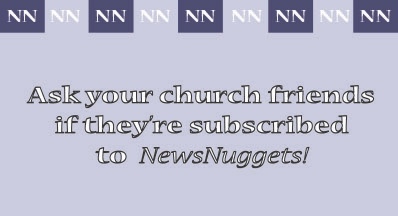 NewsNuggets will be on vacation next week, July 27. The next issue will be resumed on Friday, August 3. 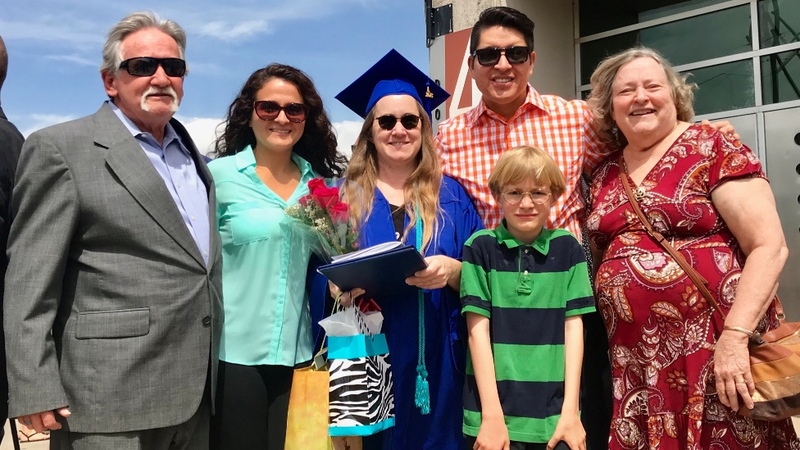 Two Longmont Churches Merge Into One Congregation » Members of the Mountain View and Vista Fellowship Seventh-day Adventist churches have wonderful reasons to celebrate when they meet together on Sabbath, July 21. This will be their first Sabbath worshipping together after unanimously voting a declaration of both churches merging into one congregation. 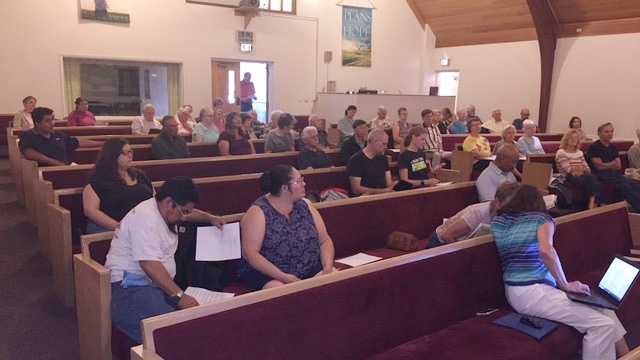 On Sunday, July 15, the Vista Fellowship and Longmont churches came together for a business meeting to formalize what the boards and members have been praying and working for. They met at the Mountain View church and shared time visiting and discussing plans for the future of what in now a new Mountain View Seventh-day Adventist church. As part of the joint meeting, ministers of both churches, Daniel Birai, pastor of the Mountain View and Tim Jones, pastor of the Vista Fellowship congregation, shared about the history of their churches. They also spoke about the way the Lord was moving to unite the two groups which until now were meeting just a few miles apart in the same city. The Mountain View church begun over 100 years ago and had a weekly attendance of 30. Until now meeting at a rented First Baptist Church on Kimbark Street, the Vista Fellowship was established more recently in 2009 and has nearly 150 congregants. 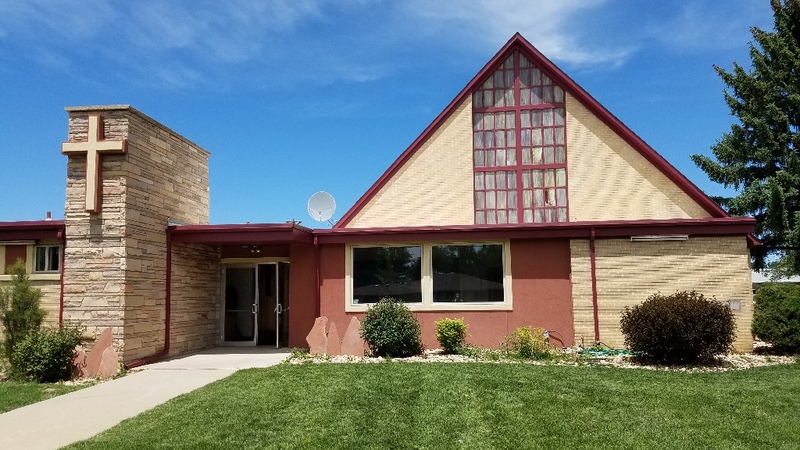 Its pastor, Tim Jones, shared his joy at the merger, saying, "We are thrilled that there is going to be an increase in the ability to reach out to our community in the Longmont area. We are excited to see the possibilities God is going to provide through this united effort." Pastor Birai commented, "God has called us to make disciples, so it's exciting to see the churches come together and realize they can do more together than they can do apart." Representatives of both congregations spoke of exciting evangelistic opportunities that both churches now working together would bring. The long-term plan is to build a new church building with room for the current needs and room for future growth in a city of 95,000 inhabitants. Held Elder of Vista Fellowship, Allan Christensen expressed the task lying ahead for the new church, commenting, “This merger gives us the opportunity to move forward in raising funds for this new project. While this plan is still in the works we are excited about its potential and what it could bring to the community.” Meanwhile, the newly merged congregation will use the school as the church building, with the outside date to move on January 1, 2019. The boards will be merging as well. Wonder of Creation Featured at the 2018 Colorado Cowboy Camp Meeting » More than 100 church members met July 11-15 in an enchanting valley surrounded by majestic peaks near Silver Jack Reservoir in the Uncompahgre National Forest met for their 19th annual Colorado Cowboy Camp Meeting. Daily presentations were given by pastor of the Grand Junction Church, Nate Skaife, on the power of faith and relationship with Jesus, in overcoming the lust of the flesh, the lust of the eye, and pride of life which encompass all of our specific sins. 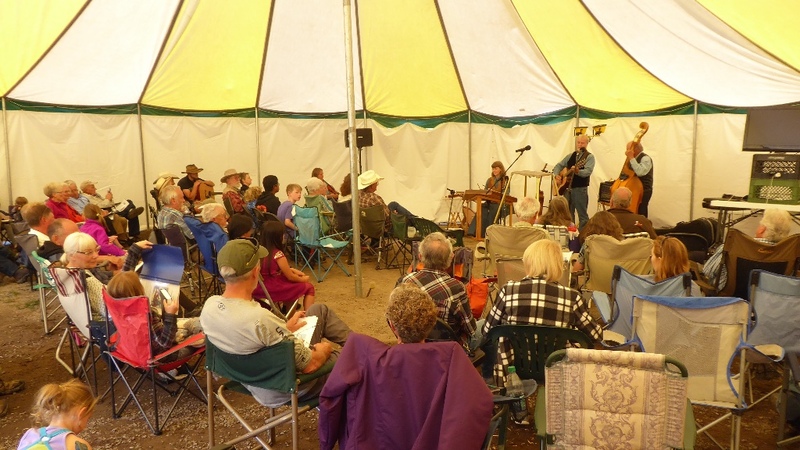 A music program for each meeting, and a Sabbath afternoon concert, was provided by Don and Donna Mohl, Folk Mountain Gospel, joined at times by other musicians from the audience. 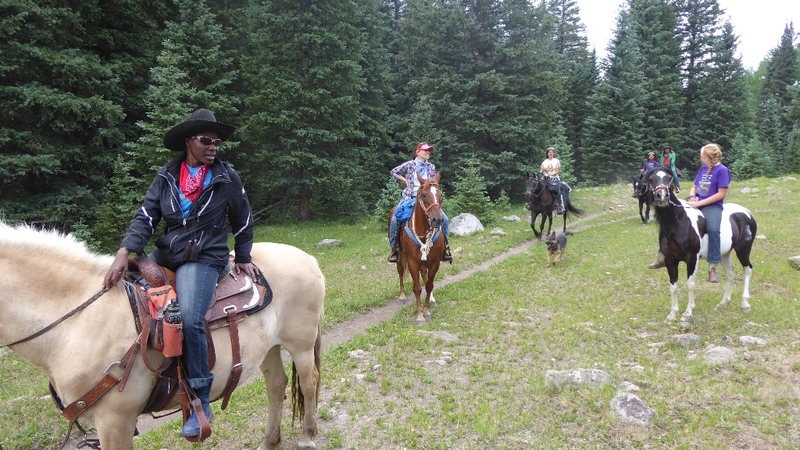 During the day recreational vehicles and tent campers were refreshed by flower-covered alpine meadows, a nearby waterfall, a variety of hummingbirds, deer coming through the camp, trail hiking and horse, ATV, and motorcycle riding. Campers in the area were given programs and invited to attend. Several couples did respond and were blessed by the meetings. Agriculture Program Added to Campion's Curriculum » Campion Academy is introducing a new agriculture class called Acquainting Agriculture. This program has a unique emphasis in pointing the students from creation to their Creator through direct contact with His handiwork. It is offered as an elective, vocational class which will be available to students in grades nine through twelve. Anna Perea, wife of Campion's chaplain, Esequias Perea, will be the instructor for the course. “As students begin to see the incredible design, purpose and beauty of each plant, spoken into existence so long ago, we believe hearts will be revived in response to these evidences of His exhaustless love. Therefore, instead of selecting a “cash crop” for the school to mass produce simply for revenue’s sake, we will grow as much of a variety as possible to appreciate our Maker’s creative power,” she explained. As our agriculture program reveals “God at work in nature, making plain the things of the kingdom of heaven” (Ellen G. White, 6T p. 185), it will also allow each student enrolled in the class, the opportunity to learn how to garden year-round with a simple, low cost approach. For instance, instead of using expensive greenhouses, the program will incorporate mobile caterpillar tunnels built from inexpensive materials that anyone can purchase at a local hardware store. The program will also be conducted without the use of electricity, a major expense to growers and devastating to the budget. At this early, beginning stage of the program’s existence, Acquainting Agriculture must be a volunteer and donation-based class. We have already received a lot of support and encouragement from people invested in the school’s wellbeing, but we would like to solicit our readers’ help too. Please visit our new “Agriculture” page on Campion’s website (campion.net/agriculture) and peruse the details of the new program. All donations can be made to the school through the same page by scrolling all the way down to the bottom. We also keep everyone informed of our progress through our newsletter; you may wish to subscribe on our website and receive all the latest updates. This is My Story » NOTE: Stories of faith are always heartwarming as they bear a testimony of God’s leading. The following story comes from Jennifer Plack from the Golden Seventh-day Adventist Church. In 2009 I was blessed with a child. A year later, my family became homeless. We went into the IHN program, Interfaith Hospitality Network; presently known as Family Promise. During this program, we stayed in the gymnasium at the Golden Seventh-day Adventist Church. The church members were very nice, even though I thought it was odd that they went to church on Saturdays. As a child I was raised in a Christian home and I went to church on Sunday. However, my family left the church when I was about 15 years old, so I didn't go back. I never forgot about the love God has for me. I strayed for many years and made many mistakes along the way. Looking back now, I know that Jesus was with me the entire time. He never gave up trying to bring me back to His fold. Sometimes Jesus allows us to go through things, only to bring us closer to Him. After I left the program, my family got into transitional housing. I often went back to Golden church to eat lunch after their services. Soon, I found myself getting there a little early so I could hear part of the sermon. Many of the mothers of the church would talk with me in the mother's room during the sermon, making me feel comfortable. Soon I found out that there was Sabbath School held downstairs for children at 9:30 a.m., so we started to come to the church earlier to bring my son. It was during one of my visits that Pastor Snow brought me upstairs to one of the classes, saying this is where I needed to be. I began to volunteer at ACS Community Lift. Jesus was working another miracle in my life, this is where I found my passion for helping others. I loved volunteering and helping the clients who came in for food and clothing services. In 2012, the transitional housing was coming to an end. Realizing that my husband was making some poor choices, and going down a road that was not leading to God, I decided to leave the marriage and took my son with me. Chris Hill, a huge influence and beneficial person in my life, along with an anonymous volunteers from the Lift, joined together to put me in a hotel room while I was looked for somewhere else to go. My son and I found a shelter for women and children through Catholic Charities called the Father Ed Judy house after Chris called and recommended me for the program. During our stay, it was required for me to meet with a case manager weekly. Lia Mason became my case manager, I enjoyed talking with her because we shared the same love of God. She inspired me to go to college, which I had never thought of before. Lia was very passionate about helping people, including me. She drew out a road map for me to follow to apply for college. After bringing her the catalogue of classes offered at Red Rocks Community College, she spent the whole weekend laying out a two-year plan for me. She picked out all the classes I needed and color-coded them, it was amazing. She also advocated for me in obtaining permission from my TANF caseworker so that I would be able to attend college. TANF, is a state program called temporary aid for needy families, where you are required to follow special rules. Jesus again overcame impossible odds in allowing me to go to college while still collecting aid. Four months after entering this program, my son and I were in our own apartment. Chris Hill, being led by Jesus, connected me with a program called Stride. Jesus again overcame what I thought were impossible obstacles by getting me into this program. Although this was a two-year program, I left for permanent housing through Denver Housing Authority. In the fall of 2015, I graduated from Red Rocks with my associate's degree in Sociology. My TANF worker refused to allow me to continue on with my college education, warning me that if I chose to do so I would lose my financial aid. I stepped out in faith and trusted in Jesus, where I then went off the government program and transferred to Metropolitan State University of Denver. After 3 years of undergrad work, with God's help, I graduated from MSU Denver with my bachelor's degree. Earlier in the year, God impressed it upon me to continue my education by going to grad school and getting a master's degree in social work. It happened in such a way, that only God had the power to make it successful. God has not only worked perfectly in my own life, he has also worked in the life of my young son. He guided me to enrolling him in Mile High Academy. Although I did not believe that this possible, God allowed certain things to happen so that he could attend. My son has never had a better year in school and is on his way to completing third grade. There are so many more things that God has done for me throughout the years, but I could not possibly write about all. For the last five years I have had the opportunity to work with the youngsters in our church by being a part of Adventurers Ministry. As Adventurer leaders, we have the privilege of teaching and guiding the young minds, who are enthusiastic about following Jesus. Now as for my future, only God knows where I am going. The Pell Grant is now over, so I pray that God will continue to take care of all my needs, and I believe He will. I cannot wait to see where He is leading me. All I know is that I will be working somewhere that I will be able to help people. This is my story. The Rescue Mission » We are constantly surrounded in a world filled with bad news, but recently a celebration of life, stamina, and communal response occurred in Thailand when 12 teenage soccer players and their coach were rescued after being trapped in cave for nearly two weeks. On June 23 this team of young boys along with their coach ventured into Tham Luang, one of Thai’s biggest cave systems and found themselves in deep trouble after an expected flash flood approached. They scrambled to make their way out, but there was no safe exit, forcing them to move deeper into the cave. Parents began to panic when their children did not return home by nightfall. The first thing was to pray, then next action was to rescue them. Authorities were contacted and when bikes, bags and shoes were found outside of Tham Luang cave a rescue operation commenced. A rescue operation brought an international community of divers, who were willing to risk their lives to save others. The world came to help and on July 7 the young men were rescued and returned home to rejoice with family and friends. This news story serves as a reminder of another - maga rescue. Jesus came with his own rescue mission. He knew the risk, but still was willing to lose his life in order to save His people. The mission undertaken by Jesus then and now involves His followers. As Christians, we know of the good news. Choosing to follow Jesus sets us on a road to communicate His saving presence and message everywhere we go. All too often many of us fail to join God’s rescue mission. The dedication of volunteers who searched for the missing boys is an example from real life. What if we prayed more for those who need to be rescued and also do whatever we can to bring them to safety? Just like those involved in saving the young men had the equipment necessary, God provided us with our own tool - His Word and His presence. Ours is His mission of hope! Western Slope Camp Meeting will meet at Mountaintop Retreat in Montrose, not the Montrose Pavilion. 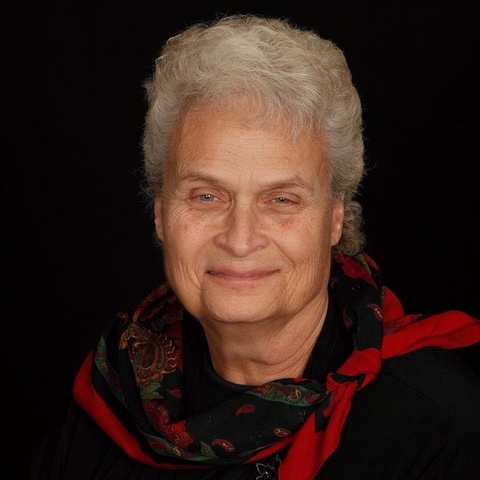 Memorial Service for Becky Carlisle (1944-2018) » It is with great sadness we are announcing the death of local icon Becky Carlisle, who fell asleep in Jesus on Monday, July 9, 2018, after a long and valiant battle with pancreatic cancer. She is survived by her children, Kristen Taylor, Melissa Foote, and Jonathan Carlisle, and her grandchildren, Owen, Evan, Ashlyn, Crew, Simon, and Case. Becky was a much-loved member of the Boulder Adventist Church community for many years. 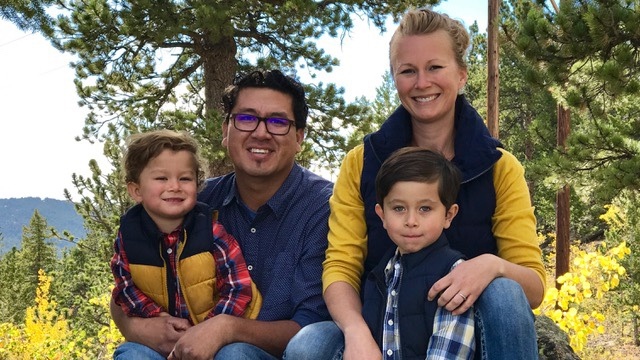 Well-known and respected throughout the Rocky Mountain Conference, Becky is remembered as a warm and generous person, an outstanding music teacher, and a caring hospital chaplain. Her love of music—and people—touched the lives of so many. Her involvement with church activities and mission included directing music at the Boulder Adventist Church, choirs and orchestra, and playing the piano & organ for worship. She also directed at the RMC Music Festival, as well as teaching music at the Boulder Junior, Brighton and later Vista Ridge Academies and directing choirs and music for other denominational churches. She will be remembered by many as a chaplain at Avista Adventist Hospital in Louisville, and for several years she served on the RMC Executive Committee. She had a zeal for excellence and service for the Lord.She will be remembered with great affection. A memorial service will take place on Saturday, July 21, at 4:00 p.m. at Boulder Adventist Church. Prison Ministry Convention » 26th Annual International APMOA Prison Ministry Convention. July 25 - 28 2018. Held this year at the Hotel Elegante in Colorado Springs, CO. Registration fee is $189. Contact Advent Source or Daniel McManus, [email protected]. On Friday, July 27 at 7 pm, there will be free concert! Performers are: The Fresh Start Baptist Church Angel Choir, Lexi Remy, Ikenna Michael Nwaojigba, Nickole Semakula, Celebration MultiCulture Ensemble, Shields of Faith and others. An offering will be collected. The African Children's Choir » LifeSource Adventist Fellowship is hosting a concert featuring The African Children's Choir. The program will be held on August 1 at 7:00 p.m.
Voice of Prophecy Openings » The Voice of Prophecy is hiring! This evangelism-focused ministry is looking for two people to join the Bible School team. Although both full-time positions are similar, the first requires a minimum of a bachelor’s degree in religion or theology, while the second requires the minimum of an associate’s degree. Both the Bible School & Evangelism Assistant Director and the Bible School & Evangelism Bible Worker will provide training, consultation, support and promotion for the Voice of Prophecy Discover Bible Schools and Discovery Centers. Learn more and apply at vop.com/jobs. ― Becky De Oliveira in: Keeping it Real in the Real World.